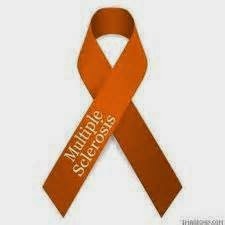 Many Multiple Sclerosis patients are using CBD oil for symptom relief of severe spasticity. CBD Oil does not contain the psychoactive effect of THC found in medical marijuana being sold here in Ohio. I have found Hempworx FULL SPECTRUM CBD Oil to be highly pure and effective and one of the most respected brands on the market. This can not be said of a lot of other off brands. For example you can not buy pure CBD oil on Amazon. They call it Hemp Oil on Amazon and it does not contain CBD which is the active ingredient that helps with spasticity pain. Hempworx offers pure FULL SPECTRUM CBD oil products that are trustworthy. You may have heard of the drug Sativex approved in the UK for MS Spasticity. This company is trying to get a similar CBD drug called Cannibidiol approved in the US. I can not imagine this drug will be cheap and approval seems a long way off. Current iterations of it do contain some THC which will be a hurdle getting past the FDA and doctors prescribing it. Hempworx FULL SPECTRUM CBD Oil does not contain THC. A free sample pack of HEMPWORX FULL SPECTRUM CBD products to try for yourself can be obtained by using the below link. You pay only $11.95 Shipping and Handling Fee. Click here to find out how to get a sample. Warning: I do not condone the use of any alternative product without getting a professionals opinion. Always consult your physician prior to trying any alternative treatments. I am only offering this information as a service for those that want a safe source for pure CBD oils and products. Did you know the Federal Transportation Security Association offers a downloadable travel identification card for those with disabilities? Using this card may help a disabled person more easily get through security checkpoints.